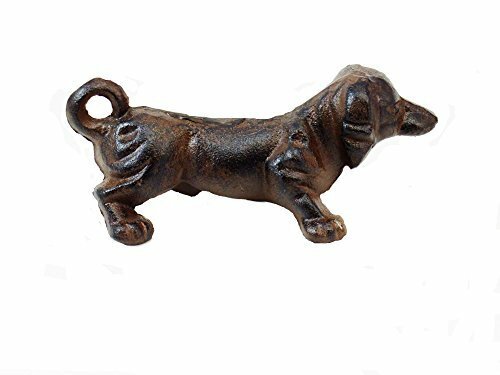 Cast Iron Dachshund Figurine Perfect piece for Dachshund owner or dog lover. Measures 2.5"H x 6.25"L x 3"W Made of cast iron. Finished in a dark brown color. A functional and decorative piece of home decor and could also be used as a paperweight. Finished in a dark brown color. A functional and decorative piece of home decor and could also be used as a paperweight. If you have any questions about this product by Cast Iron, contact us by completing and submitting the form below. If you are looking for a specif part number, please include it with your message.